Every day, on and off-road diesel engines create air pollutants that can adversely affect human health. ARB requires engine manufacturers to meet strict pollution standards for newer engines. However, fleet owners may need to install a verified diesel emission control strategy to clean up emissions from older, dirtier diesel engines. A diesel emission control strategy is a technology that, if maintained properly, reduces harmful air pollution from diesel engine exhaust before it is emitted into the air. 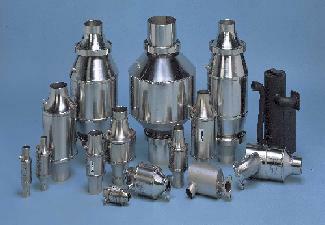 The most common technology used is a diesel particulate filter (DPF), also known as a soot filter or DECS, which substitutes for the original factory muffler. ARB evaluates and approves DPFs to meet specific particulate matter or nitrogen oxide emission reductions. To receive regular updates on advisories, training, or workshops regarding ARB in-use regulations, please subscribe to the appropriate Mobile Source e-mail list server. Advisories are brief policy documents produced by staff to clarify program policies and regulations. What if the DECS fails outside of the warranty period. Importance of proper maintenance of diesel engines equipped with retrofit devices. Guidance document for managing ash generated by DECS.